Opening this file on the Entities tab, you can order the records by EntitySchemaName (alphabetically) and browse through the entities available. Note that this will not include anything custom brought in by a third party solution or your own customizations. There’s a lot of other good information in this file (can you say treasure trove? ), like the field names on each entity and descriptions, as well as relationship metadata information. If you feel like tracing relationships manually, you could do it just from here. Not the most efficient way to spend the day though, but good to have. What if you could have a little tool generate a quick visualization of the entities and their relationships? What if that tool would do just the sub-set you need? Well, this has been around for a while, so you’re in luck. Since Dynamics 365 Customer Engagement is a metadata driven system, you can leverage that metadata to build an ERD. Welcome to the Metadata Diagram tool. It’s available for download from HERE. The beauty of this is that you generate Visio ready ERD diagrams including all entities in your current state organizations. This allows you to capture al customization/configurations, as well as any 3rd party solution entities. Another bonus is that you can select only the entities you’re interest in, and the output will include them and those directly related. The documentation on the DOCS site give you all the information you need to get started. 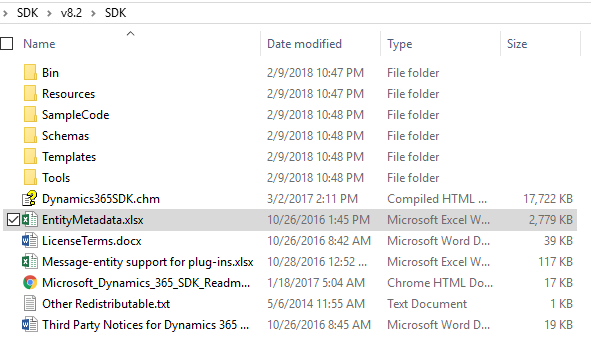 While this option will require you have access to a Visual Studio instance to build the app, there’s an even easier option here. 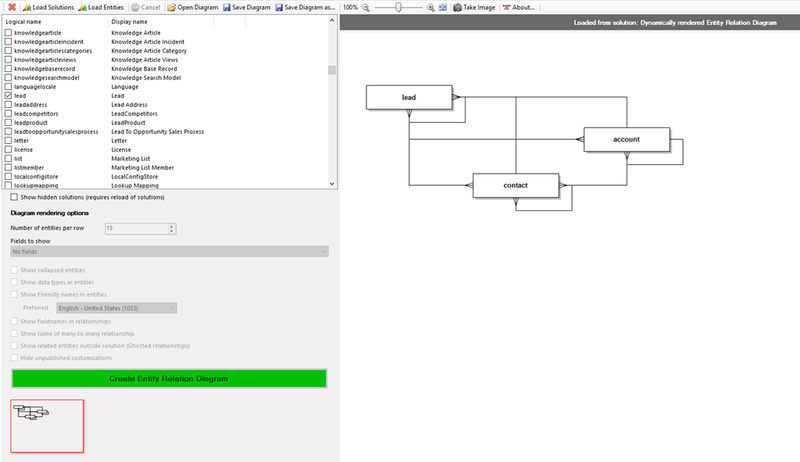 The XrmToolBox includes the Entity Relationship Diagram Creator. Here, you just select the related entities you want to report on, and you can define how complex should the output be (from a simple entity to entity to a more complex listing with fields and relationship names). Play with it, use it, leave a note if you’ve learned something new!